This felting tool has 5 barb needles. The tool has a spring type action which allows the fibers to mesh with the base fabric. 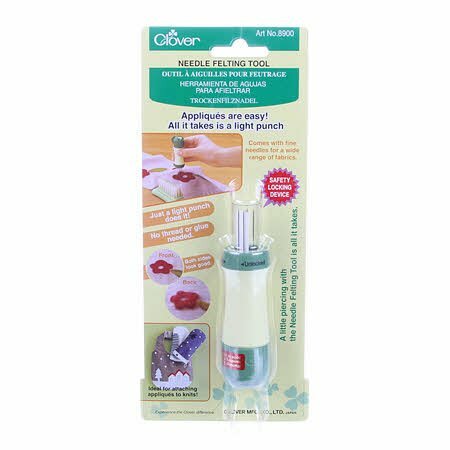 This tool cannot be used with Felting Needle Applique Molds. Features a safety lock devise to secure the cover over the needles.